Air101: A new helicopter link between Penzance and the Isles of Scilly gets one step closer with more funding. A new helicopter link between Penzance and the Isles of Scilly gets one step closer with more funding. 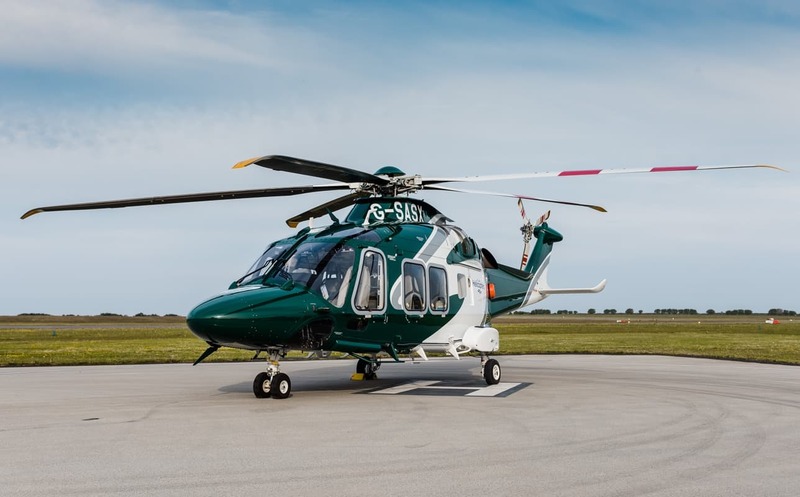 Penzance Heliport Ltd received a massive boost from the European Union this week after being awarded £1.8 million from the European Regional Development Fund (ERDF). This new investment brings the restoration of a helicopter link between the Scilly Isles and Penzance a big step forward. The remainder of the £4.3 million needed to complete the project will come from private investment, with Tresco Estate and the Dorrien-Smith family the largest investors. 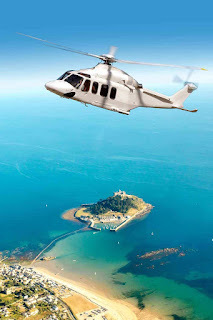 Penzance Heliport hopes to reinstate the air link between Penzance and the islands of St Mary’s and Tresco, with flights expected to begin in spring 2020 with tickets said to go on sale later this year. The service is designed to strengthen transport links to the Isles of Scilly with increased capacity, improved road and rail connectivity and enhanced weather resilience. 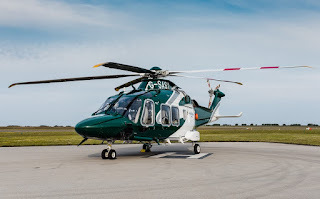 The previous helicopter link ended some seven years ago after costs became too great along with falling passenger numbers made the operation no longer financially viable. There was also a bitter dispute over land and management of the helicopter landing site. Preparation work has now commenced on a new site at Jelbert Way, following an archaeological survey was completed by the Cornwall Archaeological Unit. Those preparatory works include drainage and the removal of a section of hedge to allow for the helicopter landing area. Following a competitive tender process, West Cornwall contractor Symons Construction was selected to complete the preparatory work. The main contractor will be announced soon, with construction expected to begin in April 2019. The firm says flights from Penzance heliport will operate to St Mary’s and Tresco using a 'state-of-the-art' AW139 helicopter seating up to 15 people. The flights will take just 15 minutes and operate up to 17 times each day during peak season. It is envisaged to operate the service all year round, greatly enhancing the connectivity to the Isles of Scilly during winter time. The service will be operated by Sloane Helicopters. With a standard adult ticket anticipated to be around £230 return, that's around £7.66 a minute, it might prove a little too expensive for some, however, is still competitive to other methods of travel. Rival firm Isles of Scilly Steamship Group already operates a helicopter link to the Scillys from Land’s End Airport to St. Mary’s with up to 8 flights a day, from April 6th 2019 to October under its Island Helicopters brand which is operated by Gloucester-based Specialist Aviation Services in partnership with Isles of Scilly Travel, using a brand new 10-seater AW169 aircraft. A fixed-wing aircraft transportation service, Skybus, has been in operation for more than 30 years, originating with charter flights and now offering departures from Land's End, Newquay and Exeter all year round. In the peak travel time, the firm flies up to 60 times a day and with fares from around £120 return, it is much more cost effective for the traveller on a budget than the helicopter flights. In addition, a much slower method of travel, again from the Isles of Scilly Steamship Group is the Scillonian ferry from Penzance harbour to St. Mary’s which takes around 2 hours and 45 minutes. Returns are around £110 and the service runs between March and October. Fare are listed and standard returns, some day trip fares may be cheaper at certain times.